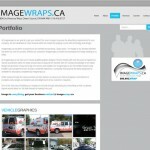 WordPress based site featuring image slider, portfolio and lots of graphics for high impact. 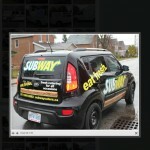 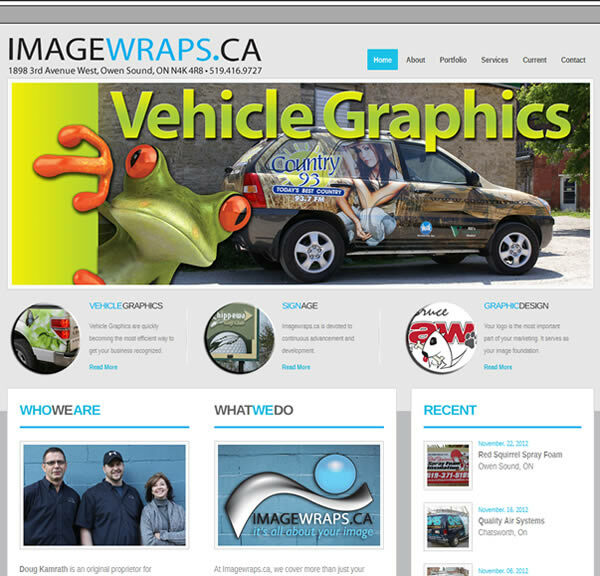 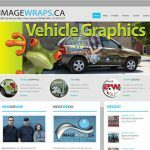 Imagewraps is a well-known Owen Sound area design and signage company. 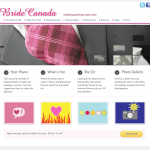 This site was designed to showcase their portfolio and eye-catching design. 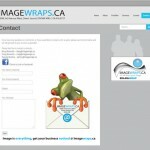 The site was created in WordPress with custom add-ons to manage a portfolio of recent design work.